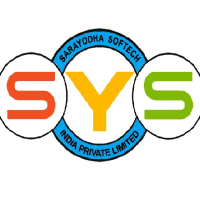 Sarayodha Softech India Private Ltd, is a product & services based Software Company located in Hi-tech City, Hyderabad. We are seeking individuals with an entrepreneurial spirit who want to join a fast-paced company on the leading edge of delivering world class business process management solutions. We are looking for team members who are committed to making a difference and have the skills and experience to make things happen. We are happy to announce that we are starting an Internship Program from this calendar year. 1. We will provide training on our USA based Patented Product. 2. Guidance will be provided to learn Technologies like Microsoft SQL Server/Oracle, Microsoft Excel, Java, Tomcat to understand our patented product & real time projects. 4. After successfully clearing the probation period of 6 months we will provide a full time role in our organization as a “Trainee Software Engineer”. 5. Compensation after the training period will range as per the company norms from 1-1.5L per Annum CTC based on performance. 6. A hike of 20-30% will be provided per year based on performance & company norms. 7. A bond of 2years + 6Months of training needs to be signed at the time of joining. 8. All original certificates must be handed over as a surety & will be returned after the specified bond period is successfully completed. 9. Training & Work location will be at our Hitec City Branch office. 10. This Internship program is only for the final year students of CSE and IT with excellent communication skills.